Sometimes I think back to when I first started with Campus Life three and half years ago and to those early clubs that I ran after school. It’s crazy to think that those baby-faced 6th graders at Sagewood Middle School are now freshman in high school! Where has the time gone?! I found out last spring that one of these students, Eva, was moving away. While excited for the new journeys ahead for her and her family in Minnesota, I couldn’t help but think of all the great times together at clubs, camps, Disneyland, etc. that I have spent with her and all these incoming freshmen. It’s been a mix of joy and sadness this summer as we usher this special group of kids into high school. Eva epitomized a Campus Life kid. She loved Campus Life and I got to see her grow closer to Jesus every year! I will always remember her coming up and asking about verses in the Bible and writing them down in her notebook after club. Eva is a special girl. She actually attended my first ever club in a backyard of a Parker family I knew at the time. She never missed. In fact, in three and a half years, she only missed three Campus Life sanctioned trips/clubs/breakfast, etc. That’s amazing! I used to tease her saying if we took attendance, she would get a gold star! Ha! Her thirst for knowledge and Jesus inspired me! She was a great friend to others as she loves like Jesus. I am so thankful that she found us and that we found her! As the new school year begins, please keep us in your prayers as we walk the halls and hang out with all these awesome kids! 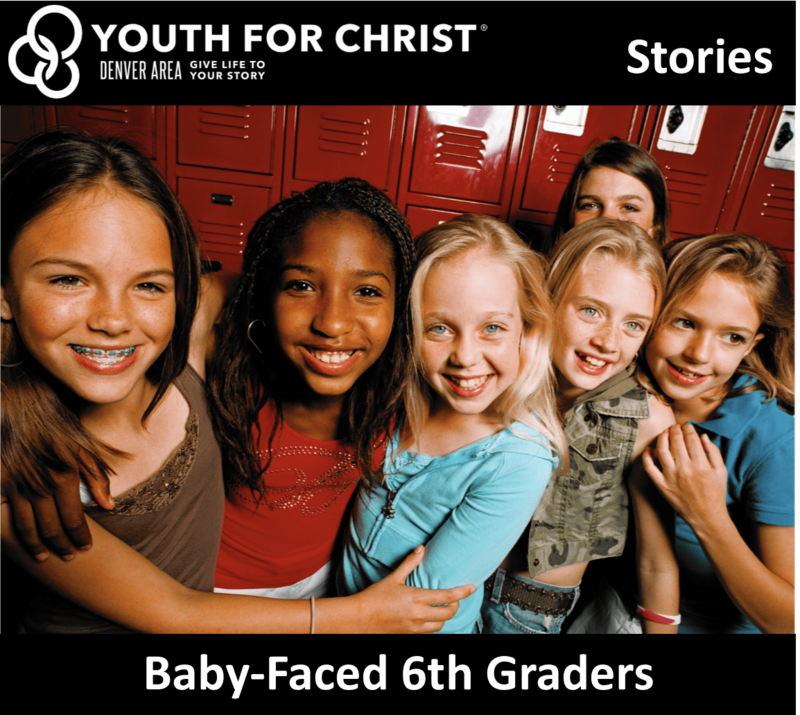 Pray that God will lead us to more Evas as we usher in a new set of baby-faced 6th graders! May we be the hands and feet of Jesus, loving kids right where they are!